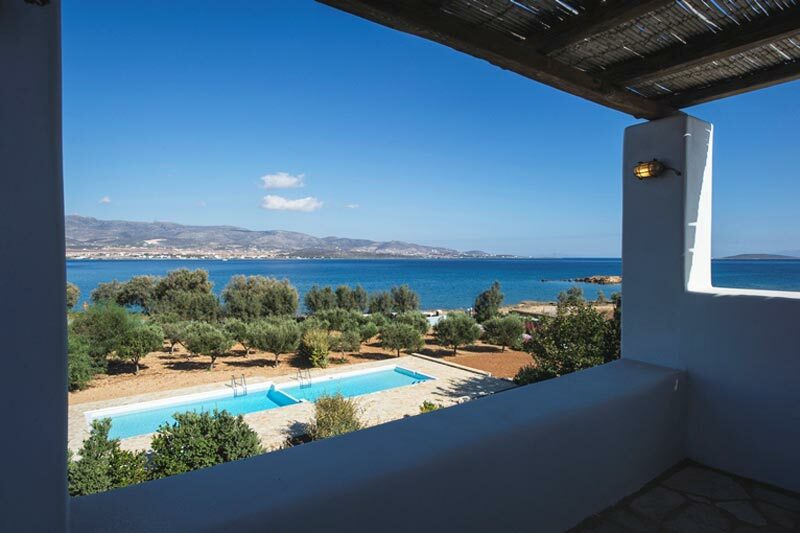 These two adjacent villas are located in the Glyfa region of Antiparos island right next to the sea. 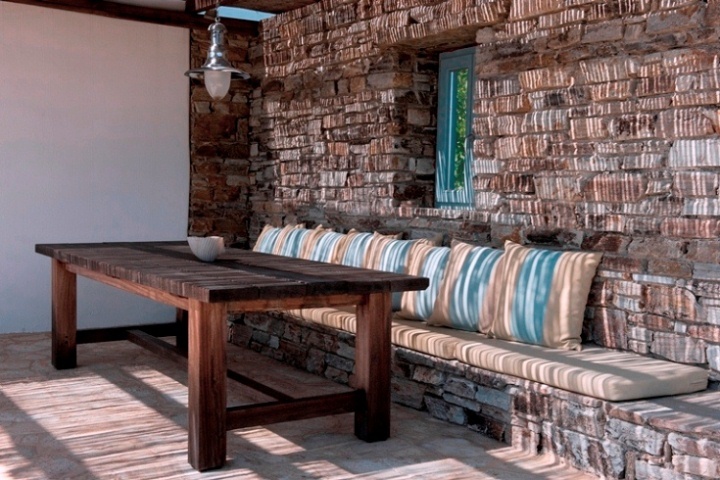 This complex of two houses and one studio constructed in the Cycladic style, overlooks Paros and the Aegean sea. There is a member of staff available throughout the day. If you would like meals prefer then please ask. The price of the food is not included. The complex has two villas and one studio. 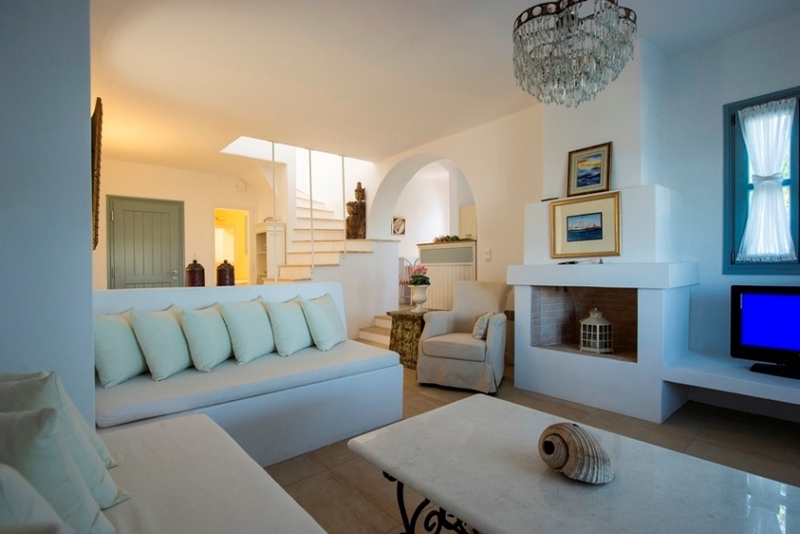 The first villa has 4 bedrooms. On the ground floor there is a dining/ living room with a fire place, TV, fully equipped kitchen, bathroom with shower and a bedroom with 3 single beds. Two of them can be conected to form a double bed. 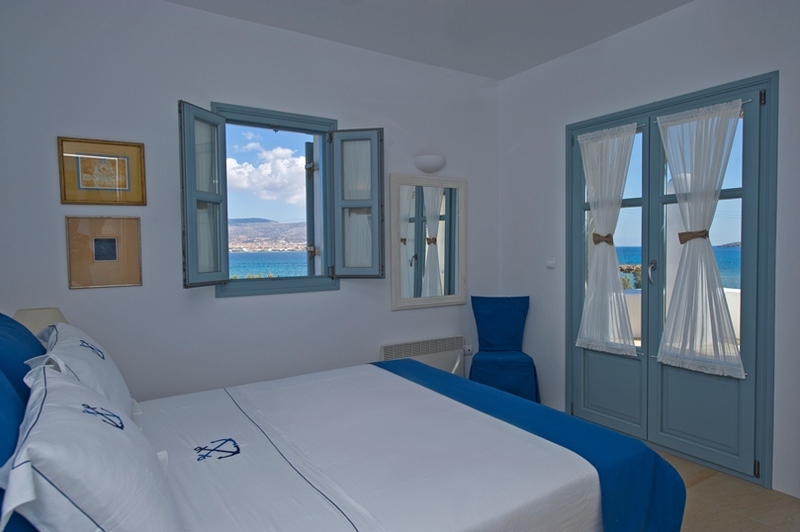 On the ground floor there is an en suite double bedroom, with a large veranda with a panoramic sea view. 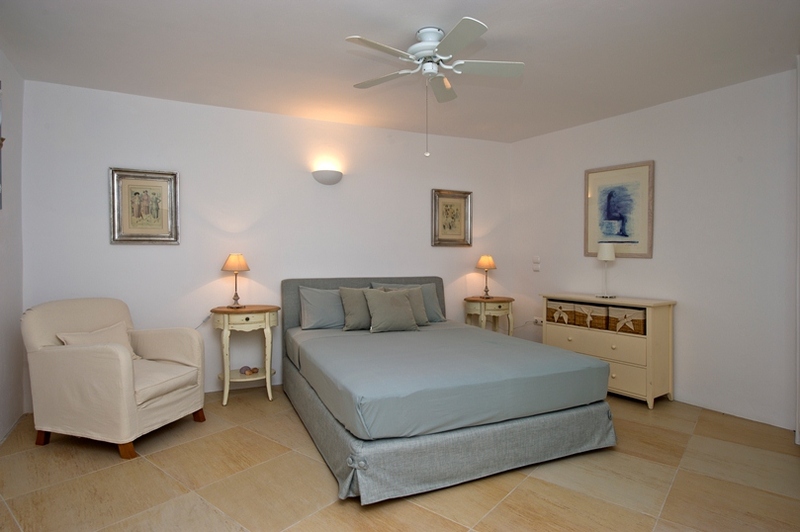 In the semi-basement there are two bedrooms, one with a double bed and one with 3 single beds. This house can accommodate 10 people. 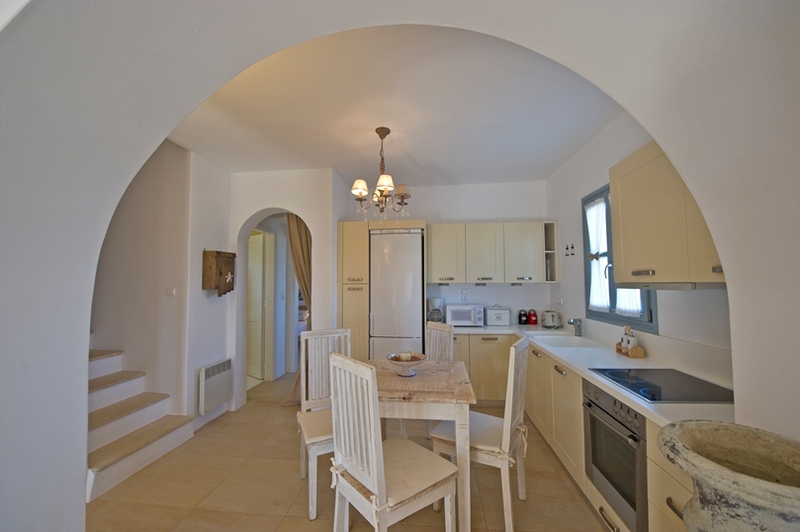 The second villa also has 4 bedrooms. On the ground floor there is a living room with a fire place, TV and open plan fully equipped kitchen with a small dining table. On the same level there are two bedrooms, one with a double bed and one with two single beds. 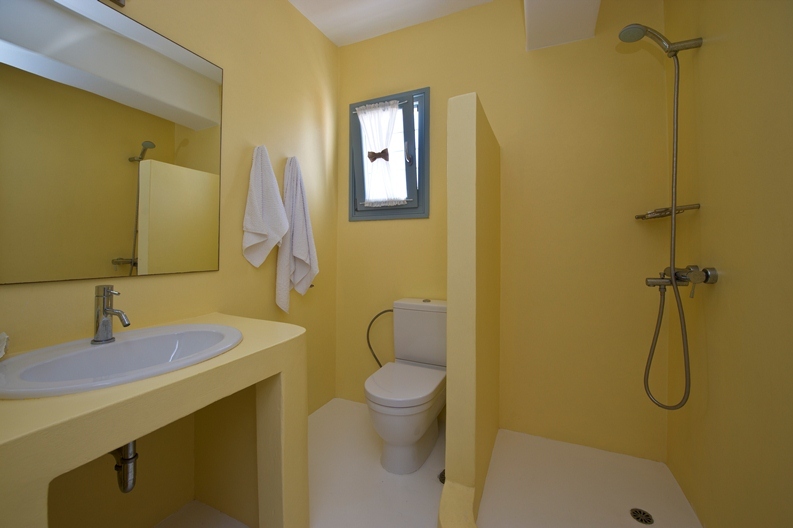 One bathroom which has a shower is shared by the two rooms. 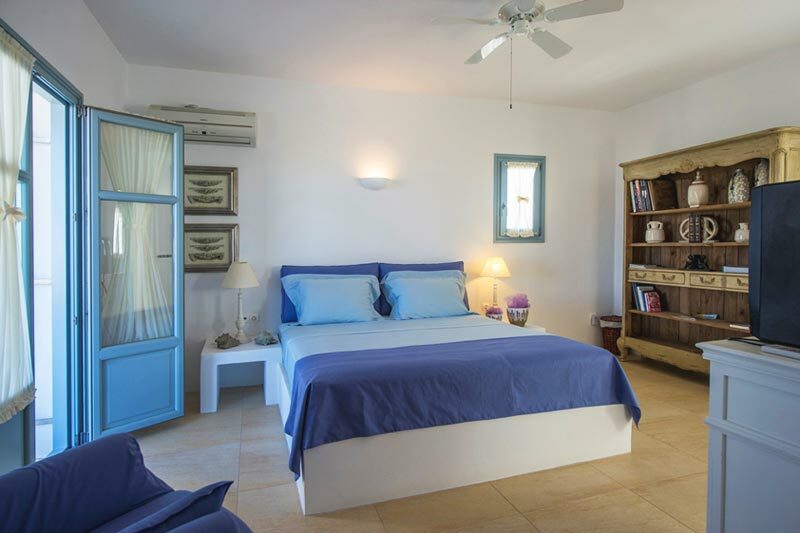 On the ground floor there is a double en suite bedroom with a large veranda with a panoramic sea view. 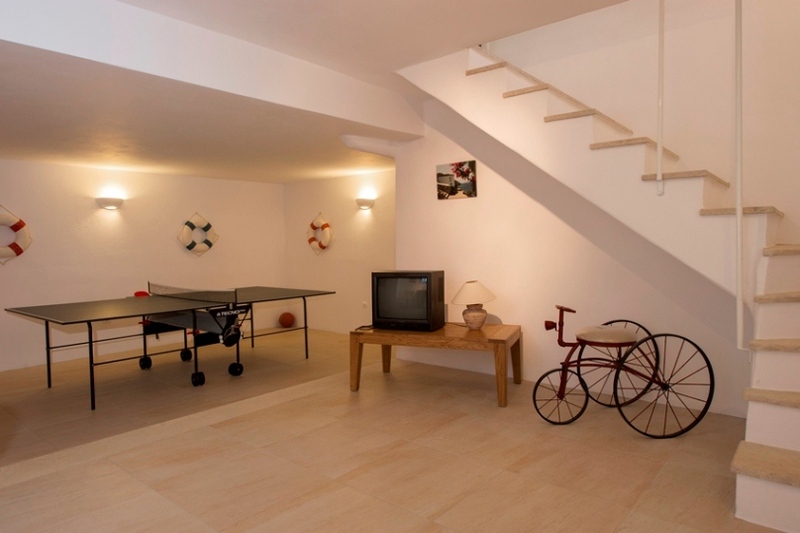 In the semi basement there is a bedroom with two single beds and a bathroom with a shower and a large living room with table football. Between the two of the houses there is an en suite studio with double bed. 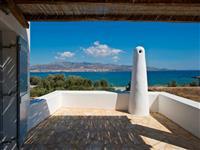 This villa is situated at Glyfa on the island of Antiparos, just yards from the sea. The house faces East across the channel towards the island of Paros and is a short drive from the main town of Antiparos. 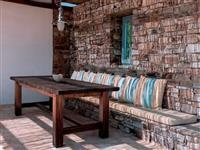 The location is quiet and there are no other surrounding properties. 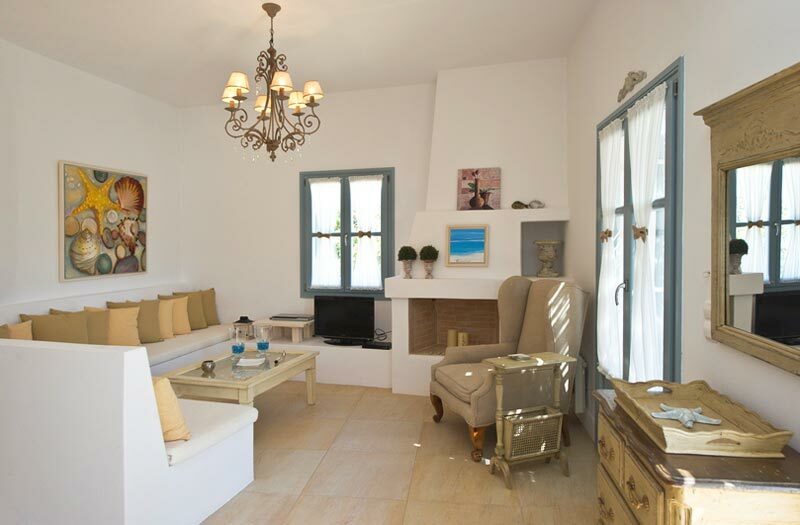 The villa is one of two adjoining villas that can be rented individually or together for large groups. Prices are approximate. Please ask for a quote. Studio + 20% on the above prices. If you rented 2 villas, there would be a 10% discount. We require a deposit of around 50% by PayPal and bank transfer at the time of booking. Notes: Two of the bedrooms have three single beds. Two of them can be converted into double beds, if required, for a couple. There is a studio in the middle which has a double bed and can accommodate 2 people.